Movie magic is a very real thing. For decades, filmmakers have turned to incredibly low-tech concepts in order to create magnificent worlds on the silver screen. One franchise that knows this idea better than most is the world of Star Wars. Despite all of Star Wars: The Force Awakens’ immense production values and its sky-high budget, some of it’s coolest and most intense effects were achieved by something as simple as a purring cat. We were left with a scene that didn't have any John Williams music -- and if you look at the scene, without sound it's really just two people looking at each other and motioning to one another. … One of our sound designers David Acord used the sound of his purring cat, Pork Chop. That's where sound really makes a difference. George Lucas used to call sound fifty percent of our experience in a theater, and while we have John Williams to thank for a lot of the emotional content of our soundtrack, that was a moment where we got to shine. 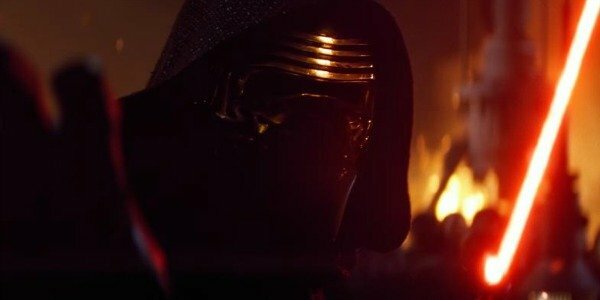 So there you have it: the interrogation scene between Kylo Ren and Rey in Star Wars: The Force Awakens used the sound of a cat purring to generate the audio effect for the Force boiling between hero and villain. The production crew tried numerous sounds, from John Williams’ score to a complete absence of any noise at all. In they end they kept the sound in the scene to a minimum, but dubbed in Pork Chop the cat purring to generate a sense of menace between these two characters. We would also like to tip our hat to Matthew Wood for recognizing the contribution George Lucas to this sort of process. Although many have called Lucas’ judgment into question in recent years, we cannot deny his fundamental impact on the world of science fiction. Even modern icon Peter Jackson recently called him the Thomas Edison of filmmaking for his ability to create technical marvels for his movies. One need only look at the inventive use of sound in the original Star Wars films to completely get where these men are coming from. That’s the real beauty of the Star Wars franchise: despite the fact that it involves some incredibly complex filmmaking techniques, the men and women behind the series still improvise and utilize incredibly low-tech ideas to help achieve their vision when it works best. We will just have to wait and see how Rian Johnson and the rest of the Star Wars: Episode VIII crew contributes to that long tradition when the next installment in the Star Wars saga hits theaters on December 15, 2017.